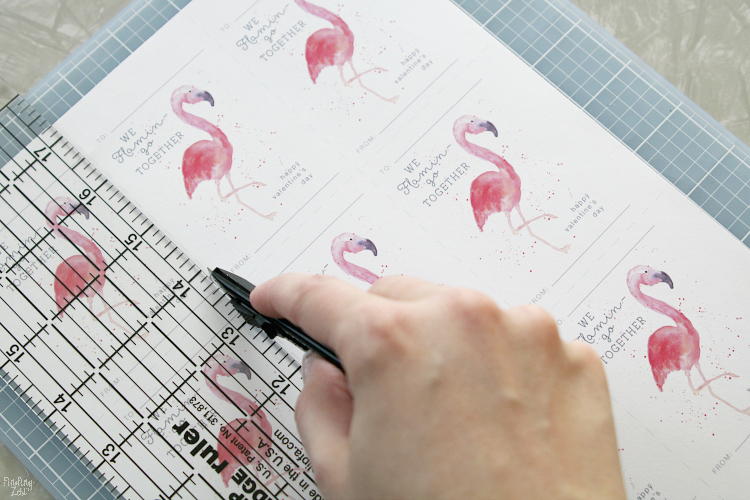 Show off your love of flamingos with adorable watercolor free valentine cards. 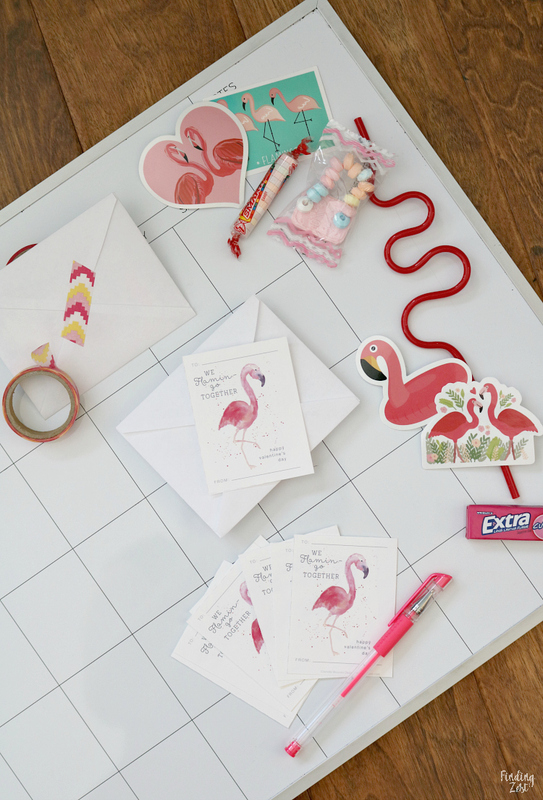 This flamingo valentine is the perfect way to show you care and is a great option for classrooms. 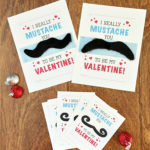 Simply print, cut and sign these hand painted printable valentines and they are ready for distribution. 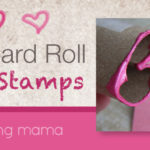 For even more fun, use the free printable envelope to stuff your valentines with goodies before sealing with washi tape. 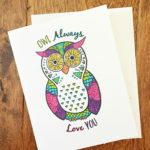 Kids and adults will love these cute valentine’s day cards! I was shopping recently and noticed valentines for kids with my daughters’ favorite cartoon character on them. On a whim I tossed them in the cart assuming that they’d be excited. 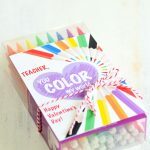 I was surprised to find that they were instead wanting mom to design a cute valentine’s day card that was special and unique as I’d done in years past. (See more printable valentines here). 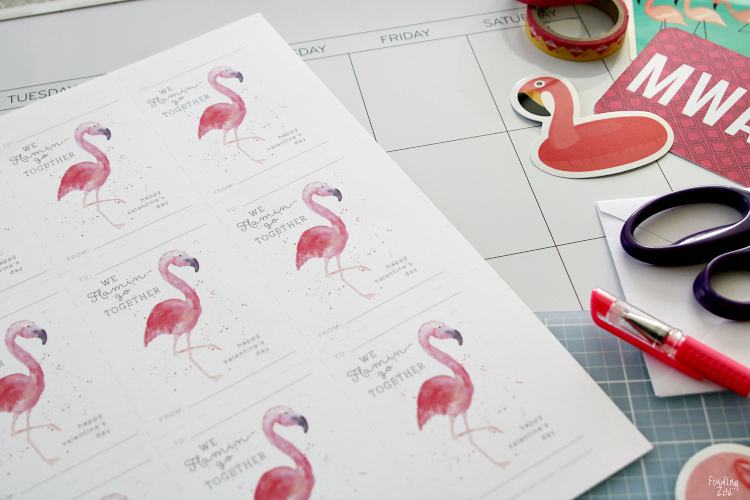 I set to work creating a colorful, flamingo valentine for my girls. They adore the beautiful, pink birds and loved watching me paint. My oldest daughter was so excited to tell her classmates that she had adorable watercolor valentines! I love creating valentine free printable cards and valentine coloring pages to print for others to enjoy. 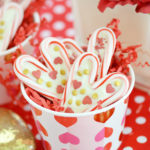 You can easily print these cute valentine’s day cards right from home with just a few supplies. For your paper, I suggest using a matte white card stock. Trim off the 1/4 inch margin around each side of the page and cut on the dashed lines provided. My daughters love to help make their own classroom valentines. 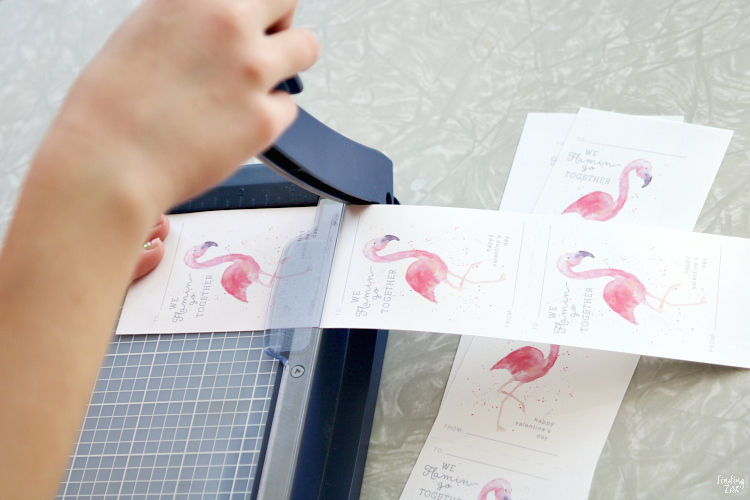 Kids can help cut apart each card with a paper trimmer. My 3-year old’s cards aren’t perfect but she has so much pride knowing that she helped make something special for her friends and loved practicing with a scissor. 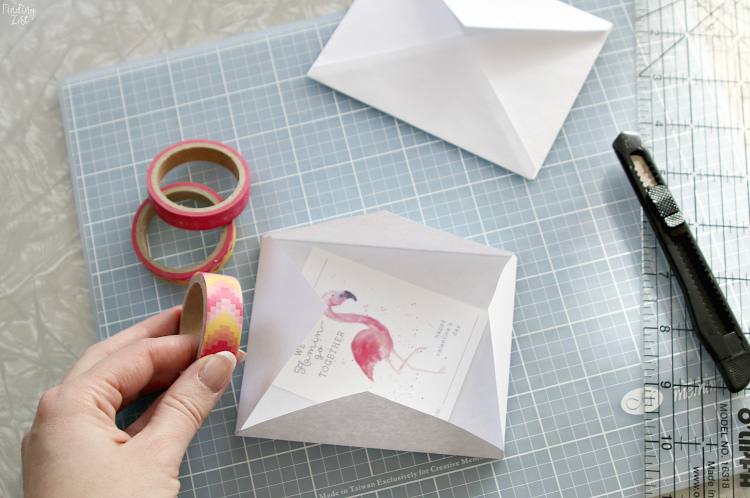 If you’d like an extra-special way to finish your free valentine cards, consider making your own envelope. Simply print this free envelope template (see link below). Alternatively you could purchase colorful pre-made envelopes to save time. Tip: Use the economy, grayscale printing speed to save on ink and time. 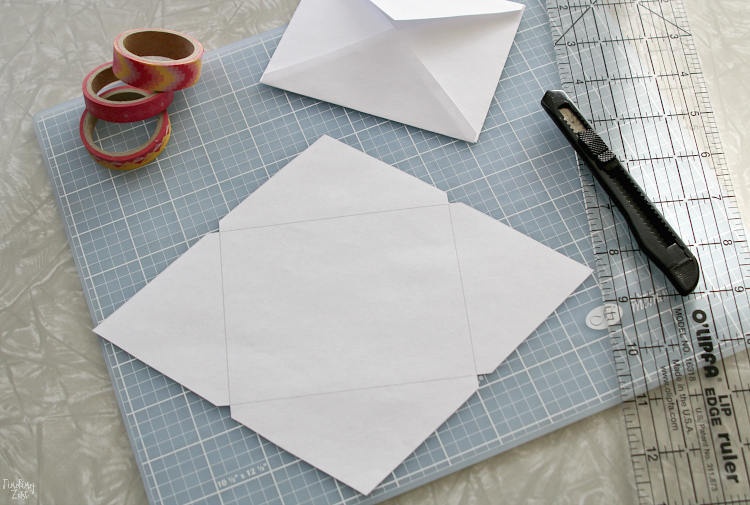 You only need a faint line to use as a guide for cutting and folding. I used standard printer paper for the envelopes shown here. This envelope template will fit up to a 3.5 inch by 4.5 inch card. 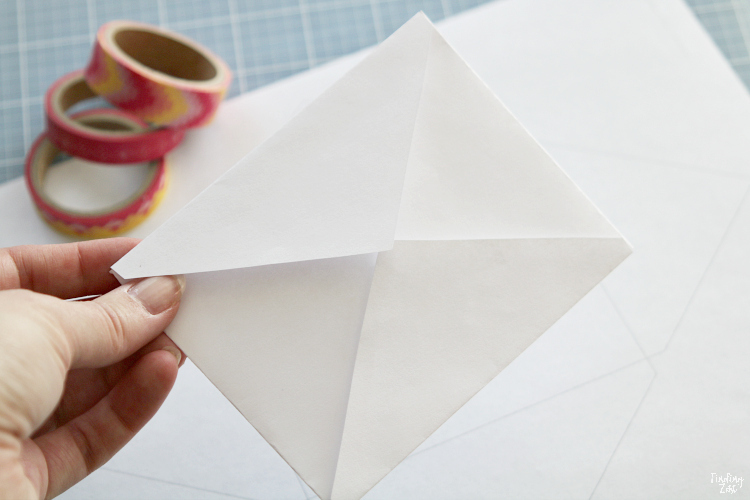 Cut around the outside of the template and fold the triangles in. 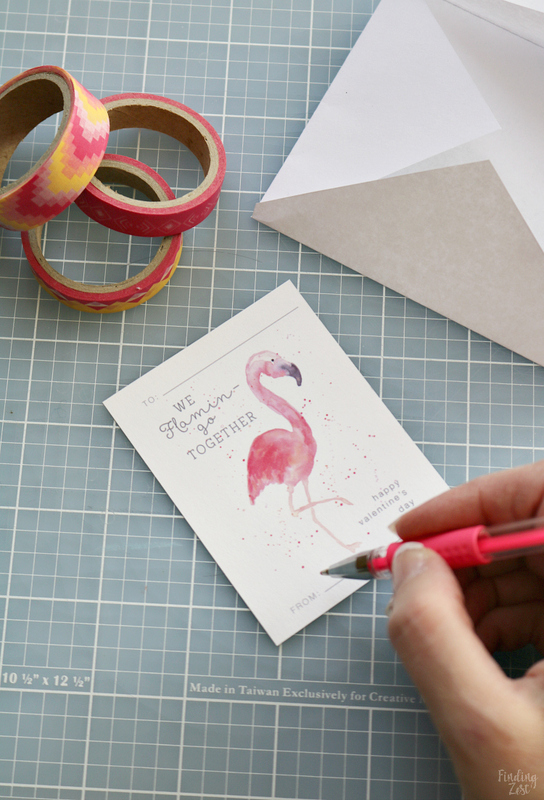 Tip: Print on colored paper for a bright addition to your Valentine’s Day cards. 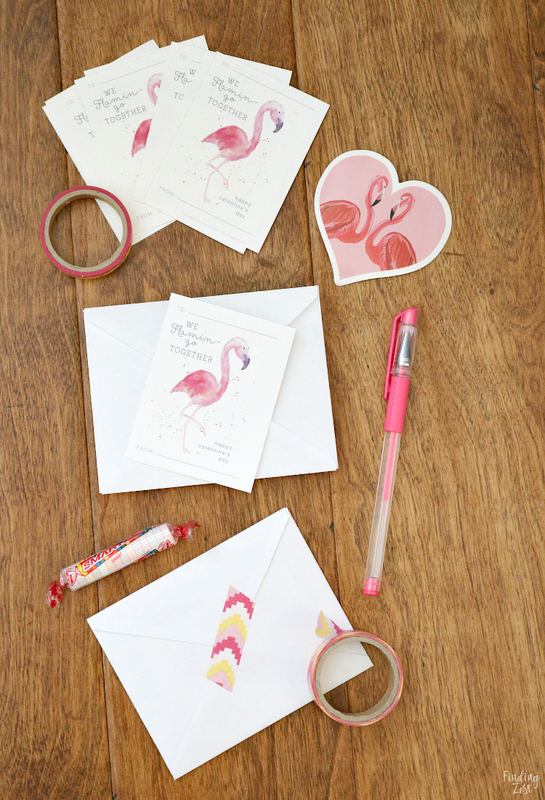 Consider a bright, pink pen for adding names to your free valentine cards. My girls love the vivid color of gel pens. 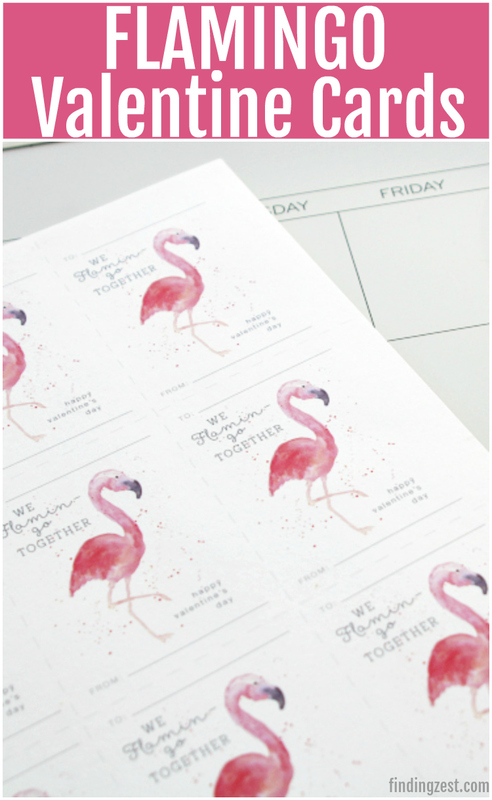 Add your flamingo valentine card and sticker (or treat) to the envelope and seal it with colorful washi tape! 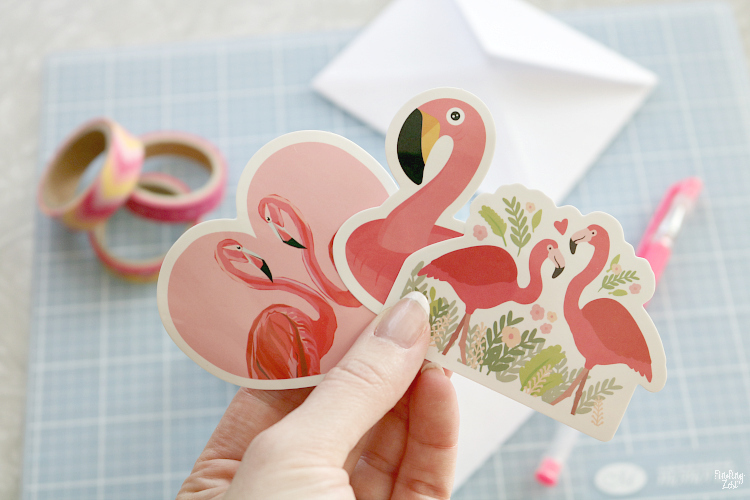 Find more goodies for your flamingo valentine cards on Amazon! 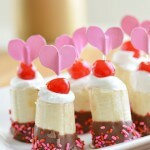 Any of these would be the perfect gift to include in the envelope or attach to your valentine. 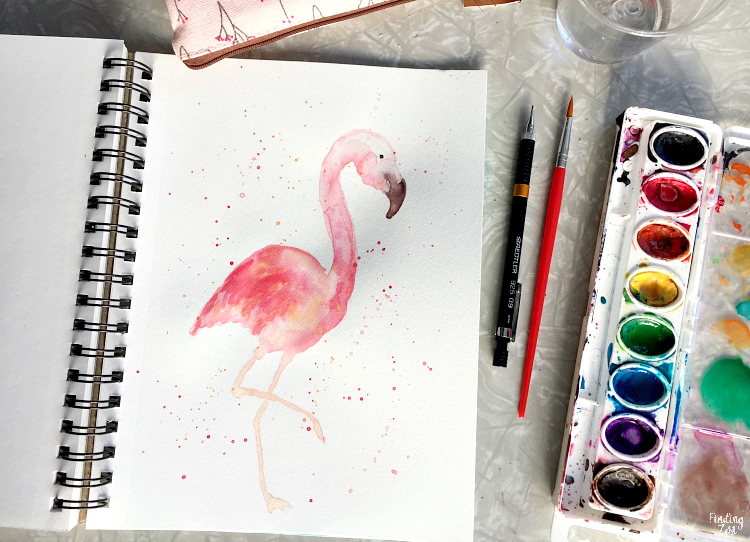 If you love my watercolor flamingo, find it on my Redbubble site here on a variety of products! Thanks for supporting my design business (Janelle Wourms Design) and passion for all things artsy.